Have you ever found an image online and have wondered what site it belongs to? This can also work with an image of someone that you want to know more about. You might not know it, but there’s a very simple way to do this. All you need is a reverse image search. There are many reverse image searches online, TinEye is one of our favorites. TinEye has an index of more than 24.8 billion images online. This photo search engine only requires that you upload a picture to get started. The powerful search algorithm in TinEye will do the rest. After only a few seconds, you will be provided with all the sites that feature the picture that you have uploaded. This is a great way to find someone you’ve been searching for like a famous celebrity or a sports player or to find an item online that you’ve been coveting. TinEye doesn’t save your images so you can always be sure that your searches are private and secure. If you only need to use this picture finder once in a while, you can go directly to the TinEye website. 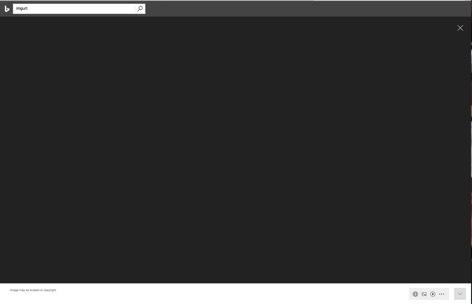 If you’re planning on using this reverse search engine a lot, you can add the TinEye extension to your Firefox, Safari, Opera, Chrome, or Internet Explorer browser free of charge. Other cool features that come with TinEye include the ability to filter by collection, filter by stock, and the compare feature which lets you quickly switch back and forth between your searches and your results. This image lookup site will also tell you if an image is in its original format or if it’s been cropped, resized, skewed, or manipulated. TinEye is one of the best image search sites on the net but there are others that you might enjoy, check out our list of sites like TinEye below to find the best one for you. Use them anytime you need to know the origins of a picture online, best of all, these sites are all free to use. Enjoy! 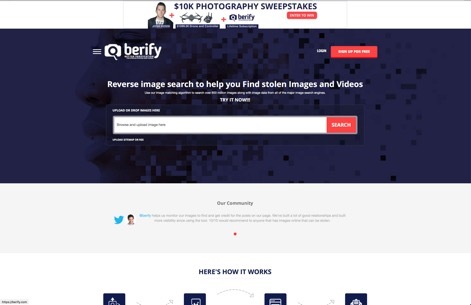 This great alternative to TinEye helps people find stolen images online using there own proprietary reverse image search engine. Berify’s image matching algorithm searches over 800 million images along with image data from all of the major image search engines. Unlike Google and other search engines, users can save and schedule their searches. They will also provide the results from all the search engines into one easy to read format. It is indeed one of the best image searches out there. You might be using Google every day for your online website searches, did you know that Google has its own image search engine too? This picture finder will search all the sites that have been crawled by Google, image the possibilities for all the images you’re searching for. Using Google Reverse Images works just like TinEye. Upload or drag and drop the image you want to search for and that’s it. Google will do the rest. You already rely on Google to find a ton of information each day, why not use it for your reverse image searches too? If you want to know if someone’s Facebook profile picture is real or you want to find an image with a better resolution, Bing Image Match can help you out. Bing Image Match will give you a huge variety of the same images when you do a search on this site. You will find large and small images in all sorts of formats each time you use Bing Image Match. This is great if you need a specific size for a certain site or if you just want to see what the image looks like in higher resolution. Try uploading a picture to your computer to see if a match comes up, you might be surprised with the results. We must add Image Raider to our list of alternatives to TinEye. Image Raider will search three of the most popular search engines in the world, Google, Bing, and Yandex. This reverse image search sites will instantly find similar images to the one you’ve uploaded and given you up to 20 results with each search. Image Raider can check files, URL’s, and individual photos. Upload what you want to search for with one click or drag and drop your file for instant results. 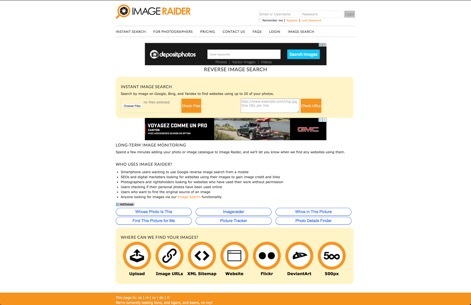 Image Raider will tell you all the websites using the same picture which is a great way to control copy infringement if you’re a photographer or a web designer. 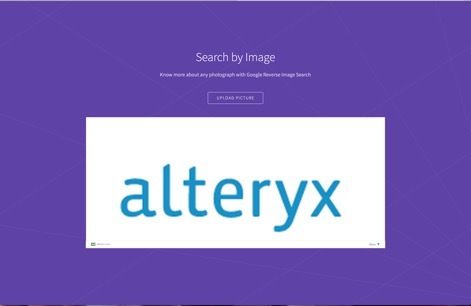 Not only does this reverse image search tool search for images similar to the one you’re searching for, it can also find posts, links, and comments featuring the same. 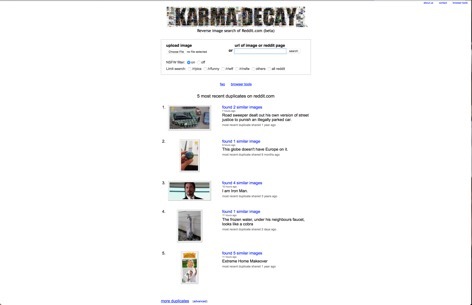 Karma Decay is a powerful reverse search engine that can be helpful to find just about anything on the net. Do you want to know where your logo is being used or if the cute picture of pet has been shared as someone else’s? Karma Decay can tell you where it’s being used and when it was posted. With the results, you can either leave everything as is or you can contact the sharer to tell them to take the picture down because it’s not theirs to share. Search By Image Faster is one of the best recommendations for our list of sites similar to TinEye. This site really is one of the fastest ones on our list. 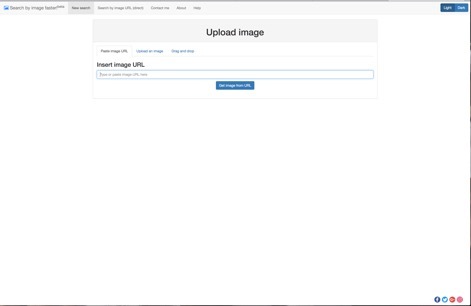 With Search By Image Faster, you can upload an image, paste a URL, or drag and drop whatever you want to reverse search. On this site, you will get a ton of results with each search. Find out if an image has been cropped, rotated, or flipped if its format has been changed, and where the select image is located all over the web with every search you make on Search By Image Faster. 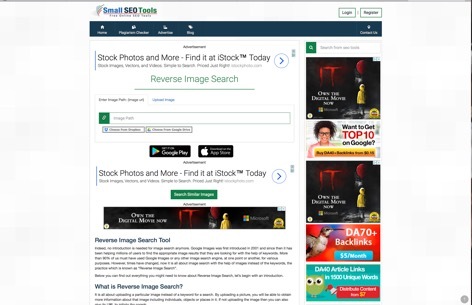 SmallSEOTools is another one of the best reverse image search sites like TinEye. This effective reverse search engine is 100% free to use, any day and any time. SmallSEOTools has a lot more to offer than just an image search engine. On this site, you will find an article rewriter, a plagiarism checker, a keyword position checker, and a keyword density checker. There are over 20 free tools to be found on this site. If you need help with your SEO or to find the origins of an image you’ve found online, you’ll find everything you’re searching for on this site. SmallSEOTools is a one-stop site for everything related to images, text, and SEO. Try this free tool now, you’ll love it, we guarantee. RevIMG is flexible, reliable, and extremely fast. This classic image search engine can find images with a picture and from a text. RevIMG combines image processing, computer vision, and in-depth analysis to find exactly what you’re searching for. Like other great reverse image search sites, RevIMG will sort the results by similarity and by perpetual likelihood. 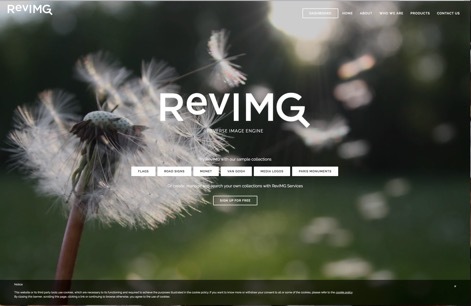 RevIMG lets you customize your searches and you can manage your image searches by saving them all to this site. Grow your image search collection with each upload and come back to them whenever you need to find out more about the images you’ve searched for.